Today in the Library we have the multi-talented ­­­­­­­­­­­­­­­­­­­­Caroline E Farrell, who has dropped in to say hello and to share some insights into her life as an author and film maker. This evening in the Library we have ­­­­­­­­­­­­­­­­­­­­Susie Murphy, who has dropped in to say hello and to share some insights into her life as a debut author. I have been writing stories since I was eleven years old so publishing my first novel this week is a dream come true for me! My book, A Class Apart, is the first volume in my six-part series A Matter of Class. I have a vivid memory of me at age seven climbing a stairs and going through big double doors into a library in Waterford. The awe that I felt in that moment was when my love of books began. I was a voracious reader in those early days (a lot of Enid Blyton and Ann M. Martin), and my mother says my most common phrase at the time was ‘I finished the book’. That carried on through my teens (I read The Lord of the Rings twice in a row in the few months running up to my Junior Cert state exams…), but college was my period of drought – I read a grand total of two books in three years. Since then, however, I am never without a book. My Kindle goes everywhere with me in my bag and I always have an audiobook in the car. While historical fiction is my favourite genre, I do enjoy a lot of fantasy and young adult books too. I’m open to reading anything but love stories are my hook. So if the book has even a small romantic storyline you’ll have me invested in it, no matter what genre it is. I am a self-published author. I did make attempts to go down the traditional publishing route and received my fair share of rejections, all of which I value because I used the feedback to make my book better. Over time, self-publishing became the more appealing option to me as I love the idea of having full control over my book. I get the final say on the edit and cover design and promotion, and that’s very appealing to me. Diana Gabaldon, author of the Outlander series. I just discovered her books in the last three years and can only wonder how I ever survived before that. Remember how I said I’m hooked by love stories? Well, I believe Outlander is the greatest love story out there. I really admire Gabaldon for the way she tells such a gripping tale, and evokes the time period with amazing detail, and makes a reader feel like they will burst if they don’t read on. I have learned so much from her about characterisation and structure and historical settings. Reading her books made me realise that I had been writing my own series in a little bubble. Outlander showed me the scale of historical fiction and gave me the encouragement to expand my series beyond the limited boundaries I had originally set for it. And Gabaldon’s writing style is exactly the kind I like – while I can’t emulate it, I can strive to make my own better because of it. I’m from Ireland and my book is set in Ireland, so yes! The 19th century was a turbulent time in Irish history and I felt it served as the perfect backdrop to the story I wanted to write. They say ‘write what you know’ – I obviously haven’t lived in the 1800s, but I studied Irish history in school, and I learned how to speak Irish, and I know what it feels like to walk around my grandparents’ old Irish cottage and smell a peat fire, and those kinds of things were definitely helpful in crafting my story. Writing without editing. When I’m drafting brand new sections, I itch to read back as I go along to make sure what I’ve written is making sense and properly punctuated. But that’s the best way to blunder to a halt and never make any forward progress. I have to just put the head down and remind myself that I can edit later. Oh, but what did I say three paragraphs ago— edit later. Oh, but just one quick look— edit LATER. I gain a certain satisfaction from writing first thing in the morning and achieving some small goal while still in my pyjamas! Then the day is off to a good start. However, I have also had some special writing sessions burning the midnight oil, when only myself and my characters are awake. The best thing is having a reader react positively to what I’ve written, whether it’s a blog post, a short story or a novel. It makes me so happy to know I’ve accomplished something that has resonated with someone else. The worst thing is the crippling self-doubt. Who am I to think I can write anything? But getting the type of reaction above is the boost that encourages me to keep going. I recognise social media as an essential aspect of being an author in this day and age, but I don’t view it as a chore. I think it’s a privilege to get so close to other authors and readers in what was once quite an isolated occupation. I do wish I was better at it though! I agonise over every post and tweet before I hit send. Of all the forums, I enjoy Twitter the most as a place to discover interesting links, read entertaining tweets, and interact with lovely people! As my writing career is only just taking off, I still work by day as a piano teacher. One of the nicest parts of my job is walking down the school corridors and hearing music coming from every room (even if there’s still some scope for improvement…!). For years I have devoted all my free time to developing my writing, but if I wasn’t doing that I think I’d like to join a choir for fun. I’m no opera singer but I can hold a tune and love to sing harmonies. I’ve been in choirs in school and college and there’s a great joy in hearing the different vocal parts combine to make one beautiful sound. Just one? A cruel question, if ever I heard one! I have always had a huge affection for Watership Down by Richard Adams as it was my favourite book to read as a child. Although I think I would probably get some strange looks to have my nose in a book while it’s raining fire from the sky. A Class Apart, is available in both ebook and paperback from July 10th. Set in Ireland in 1828, it’s the first book in my six-part historical fiction series A Matter of Class. The series follows heiress Bridget and stable hand Cormac who are on opposite sides of the class divide – and because of that, society says they shouldn’t fall in love. Keep an eye out for the second volume, A Class Entwined, coming in 2019! Thank you very much for having me today, Pam! I am sure we would all like to wish Susie the very best of luck with her debut release tomorrow and her future writing career. It was a pleasure to chat to her this evening. Today in the Library I am delighted to host fellow Irish author, ­­­­­­­­­­­­­­­­­­­Amanda J Evans, who has dropped in to say hello and to share some insights into her life as an author. I am an author, freelance writer, and poet. I live in Co. Meath, Ireland, with my husband and two children. I am known locally by my married name, Donnelly, but I write under my maiden name. I had work published in several magazines and journals in 2016. 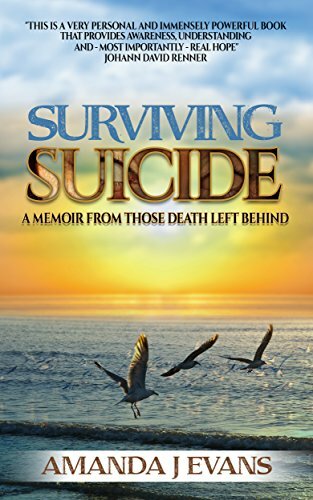 I am also the author of Surviving Suicide: A Memoir from Those Death Left Behind, published in 2012. When I’m not writing for work clients, I am usually reading the latest novels from some of the amazing indie authors out there, or sharing snippets from my latest manuscripts with my husband and children. I have just published my first fiction book titled Finding Forever and I am almost finished my second which will be published in the summer of 2017. I always read as a child and I continue to do so today. I like to read in a large number of genres, but if I’m honest, romance tends to feature in them all, be it paranormal, fantasy, or suspense. I do like to try new genres every so often though and find that they can be very interesting. Once genre I haven’t tried yet is horror. It frightens me just to think about it. I write romance because I love it, especially a happy ever after. I’m a big romantic at heart so it features very much in my writing. I write contemporary romance, paranormal, fantasy, and suspense. That’s a tough question, and I can’t think of anyone off the top of my head. As a child I devoured Roald Dahl and I loved Tom Sawyer and Huck Finn as well as Anne of Green Gables. Anything I could get my hands on I read. In teen years I read Judy Blume and moved on to Mills and Boon and second chance romance novels. I also read a lot of Terry Pratchet and Terry Brooks. I don’t think any writer in particular has been a big influence though, I’ve always dreamed of being a writer. I wrote my first book aged 8 and that was my ambition. Tragedy struck during my teens and writing took a back seat, albeit writing poetry. It is only in the past couple of years that I have found the confidence to put pen to paper again and follow my dreams. I don’t feel that it has, but I do enjoy writing fairy tales for children and my story The Curse of Johnny Murphy, written for a local storytelling even last year, was based on Leprechauns. I also entered the Imbas Mythology competition with a story about the Banshee. So I guess you could say being Irish has been part of my stories. The most difficult is the editing and marketing. I love the writing part and find that once I pick up my pen, it just flows. Editing on the other hand is a chore and I’m so glad that there are editors to help with this. Marketing the finished product is challenging. I do find it difficult when I’m writing a story and lots of other story ideas start to pop into my head. It’s hard to do everything, so I focus on one at a time and I’m very strict about this. I write in the morning while my children are getting ready for school. I usually have 30 minutes and during this time I write my morning pages and then grab my notebook to continue writing my novel. I usually get 3 to 5 pages done. I have the same routine during the weekend but tend to get more written because I’m not tied to school time. This routine works really well for me. Before this I would tell myself I’d write when I got all my work done, but that never happened. I set myself a challenge to write a page a day before I start work and it has been amazing. Since August last year, I’ve finished a novel and I’m almost 90% on my second. The best thing for me is actually doing what I love. I love putting words on paper and watching them fill the page. I love listening to my characters and telling their stories. I love the surprises that come with that too. I never plan and I never know what is going to happen next. I let the characters tell me their stories. I tried planning but it didn’t work out. My main character ended up being a male instead of female and characters I had planned as being secondary turned into leading roles. I gave up after that and I just write what comes. The worst part of being an author is trying to get your name out there and learn all the marketing techniques. Social media is definitely essential for marketing and at times it can feel like a chore, but at the moment I am enjoying it. I prefer to use Facebook, but I have found that Instagram is very popular. I have accounts with all the top ones, Twitter, Facebook, Instagram, but finding the time to devote to each can be very difficult. Even if I wasn’t an author, I would still be writing in some form or another. I write SEO website content for a large company in Canada and I love to blog. I really couldn’t imagine not writing something, even lists. I worked for the Health Board for 10 years before resigning and even during that time I scribbled something down. Writing is a part of me and I can’t not do it. I’ve tried but after two weeks I feel like I’m going mad. My mood is extremely irritable. Once I write something, even two sentences, it’s like calm washes over me. Oh God, that really is a tough one. It would have to be something with a happy ending, something that would calm and soothe the soul, take me away from it all. The genre would probably be fantasy, something filled with magic and delight. I remember reading The Never Ending Story when I was younger and that was amazing. Maybe I’d read that again, out loud to my children. I’ve just published my first book, Finding Forever, a romantic suspense novella. I’m also finishing my second book, a paranormal romance titled Save Her Soul which I am hoping to have published in the summer of 2017. When Liz meets John, he becomes her only hope, her chance to bring Charles’ body home, but there’s something more. Why does he look at her with such pity? Why does he agree to help her when no one else will? Why won’t anyone believe that Charles exists? Is Liz going mad? 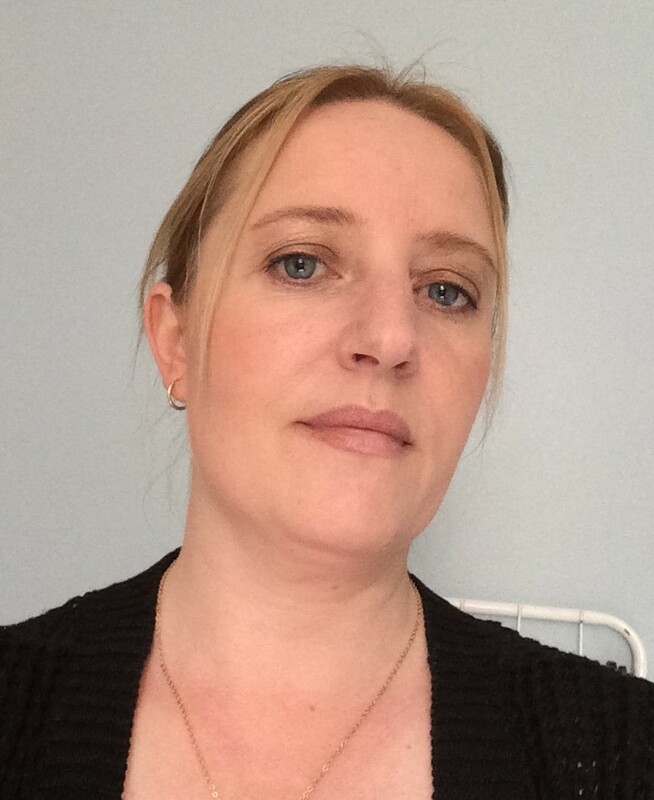 Today I am pleased to introduce my guest, fellow Irish multi-genre author­­­­­­­­­­­­­­­­­, Fiona Cooke Hogan, who has dropped in to say hello and to share some insights into her life as an author. You are very welcome, Fiona, please introduce yourself.